Gordon Matthew Thomas Sumner - better known as the pop star Sting - will serve as the musical guest at the Los Angeles County Museum of Art's annual Art + Film Gala, which is scheduled to take place Nov. 2. As previously announced, the gala will honor artist David Hockney and filmmaker Martin Scorsese. Sting will perform at the gala dinner, which has become an annual fundraiser for the museum since its first edition in 2011. Past musical guests include Stevie Wonder and last year's Florence + The Machine. The co-chairs of the gala are Leonardo DiCaprio and museum trustee Eva Chow. The gala will take place two weeks before the release of Scorsese's new movie "The Wolf of Wall Street," starring DiCaprio as the convicted broker Jordan Belfort. Hockney will be honored with an installation at the museum titled "David Hockney: Seven Yorkshire Landscape Videos." The gala will also celebrate the restoration of four films by French director Agnès Varda, who will be the subject of an exhibition at the museum that opens the day after the gala. 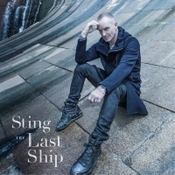 Sting's latest album is "The Last Ship," which is scheduled to be released in late September. He is also working on a Broadway show of the same title that is expected to open some time in 2014. Last year's gala honored Ed Ruscha and the late Stanley Kubrick.